Currently, the use of energy from fossil fuels is generating serious environmental issues. On the other hand, a large amount of agro-industrial residues is produced without any specific use in Colombia. 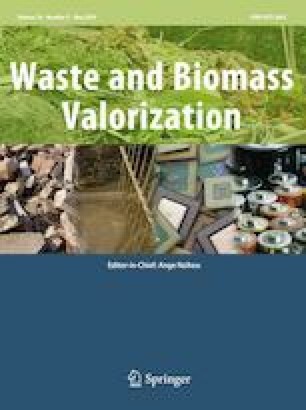 Nevertheless, potential applications related to the biomass upgrading into energy vectors has been encouraged in this country considering the biogas as a potential biofuel derived from agricultural wastes. Therefore, this work evaluates the simulation of the biogas production process from plantain pseudostem. For this, three scenarios have been proposed and simulated using the Aspen Plus Software. The first scenario only includes the plantain pseudostem anaerobic degradation without a pretreatment and biogas purification stages. The second scenario involves the acid pretreatment of the raw material and the biogas production using as substrate the mix between a xylose rich liquor and the acid pretreated solid. Instead, the third scenario includes an acid pretreatment stage and a biogas purification technology. The results show that the plantain pseudostem is a promising raw material to produce biogas. The application of the dilute acid pretreatment to the raw material allows increasing the methane yields. Moreover, the implementation of both pretreatment and methane concentration stages results in higher production costs. Nevertheless, the third scenario shown better performances since it has lower content of carbon dioxide. As conclusion, the biogas produced from renewable sources has a great potential to be used as biofuel and energy source for electricity generation in rural areas of Colombia.